Tower Crane Lifts A Huge Metal Pipe. Air Cooler For Oil Refinery. 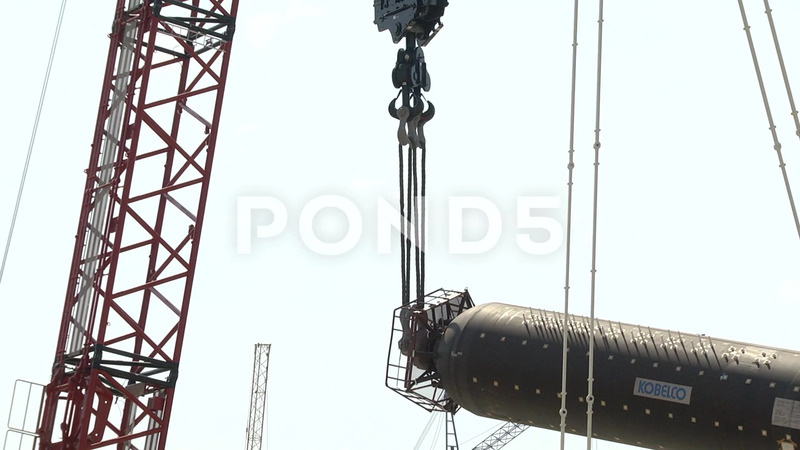 Description: Tower crane lifts a huge metal pipe. Air cooler for oil refinery. Construction site for the installation of new equipment. Industrial, Oil refinery. Gas industry and refinery. Heat haze.